Why is SES-12 "…basically two satellites in one…”? The Florida Today article On second flight, SpaceX Falcon 9 rocket to launch 'brute' of a satellite from Cape describes the upcoming SpaceX launch of SES-12. 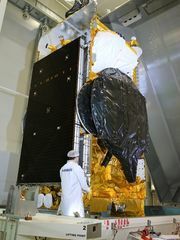 At roughly 12,000 pounds, the SES-12 spacecraft built in France by Airbus Defense and Space is not the heaviest of its kind, but is big and tall. According to Airbus, the satellite is the biggest and most powerful yet to rely entirely on electric propulsion to reach and hold its final orbit high over the equator. Using electric propulsion cuts the weight usually reserved for chemical fuels, making mass more available for mission-related payloads. below: from Airbus tweets: 1 and 2. Click for full size. The satellite will have a dual mission. 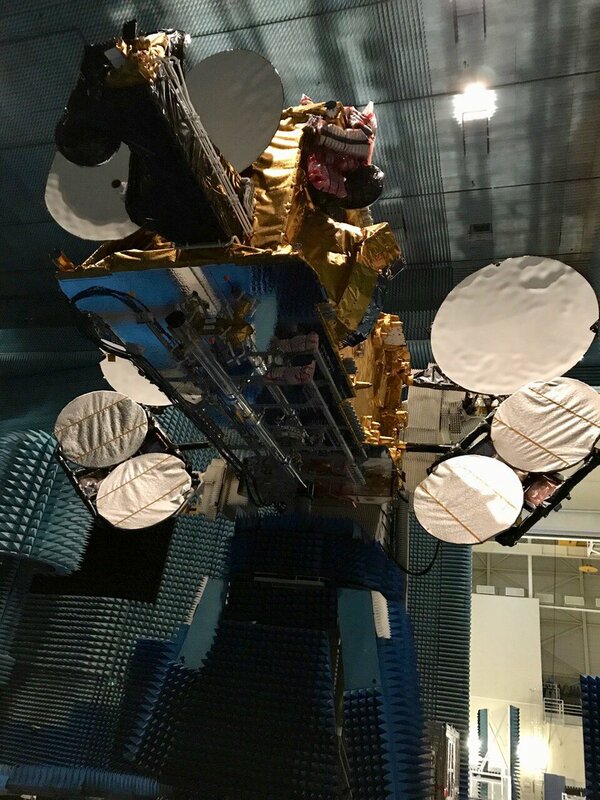 It will replace the NSS-6 satellite in orbit, providing television broadcasting and telecom infrastructure services from one end of Asia to the other, with beams adapted to six areas of coverage. 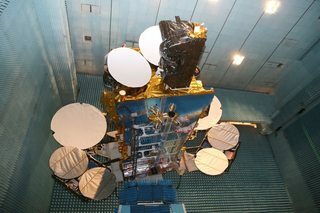 It will also have a flexible multi-beam processed payload for providing broadband services covering a large expanse from Africa to Russia, Japan and Australia. The new hybrid satellite will carry 68 Ku-band and eight Ka-band transponders. The majority of the satellite will consist of 54 widebeam transponders for Direct-to-Home (DTH) broadcasting. The second half will be 70 Ku-band and 11 Ka-band spot beams for VSAT, mobility, government and enterprise applications. Additionally the satellite will carry a digital transparent processor for improved anti-jamming capability. Not the answer you're looking for? Browse other questions tagged communication ses or ask your own question. Do all satellites and space probes have high & low gain antennas and what are their functions? Why are space probes / satellites data rates so low? Why does the UN not have its own satellites? Why are there so many satellites around the moon if they are blocked out of radio communication half the time? Would adding satellites between Earth and Mars improve communications latency? What kind of power does “…most powerful all-electric propulsion communications satellite ever produced” refer to? Why are polar codes not being used in space communications (error correction)? Why were the antennas on the spherical surface of some early satellites spiral-shaped? Which Live satellites can the public view of earth? What technology will SpaceX's StarLink satellites most likely use for sat-to-sat linking?